FacilitiesA range of services and amenities are available to guests of the hotel. Services and facilities at the hotel include internet access and wireless internet access.RoomsAll rooms feature air conditioning and a bathroom. A fridge is included as standard. Convenient features include internet access, a TV and wireless internet access. 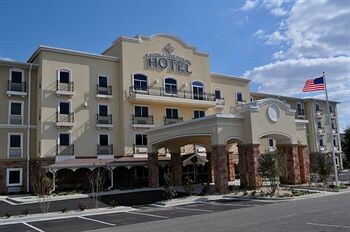 In each of the bathrooms, guests will find a shower and a hairdryer.Sports/EntertainmentThe hotel offers an indoor pool. Further available options include a casino.